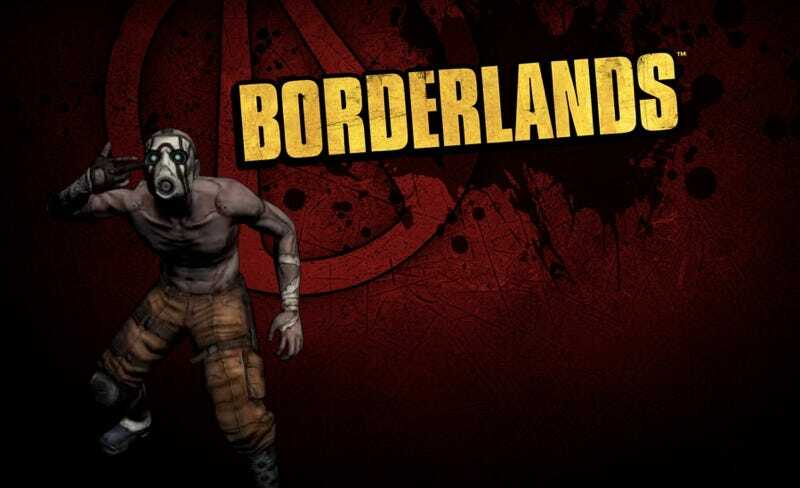 The latest downloadable installment for sci-fi shooter Borderlands has been made official. The fourth Borderlands DLC is dubbed "Claptrap's New Robot Revolution". In Claptrap's New Robot Revolution, players must put down a deadly mechanical uprising. A civil war has broken out between an armada lead by Hyperion Corporation and the Claptraps lead by the Ninja Assassin. "A year ago Borderlands was an untested brand that through hard work and a lot of passion, turned out to be one of the best-selling, claptastic and skagtacular games we have ever created," said Christoph Hartmann, president of 2K, in an official release. "A year later, we are releasing our fourth DLC installment, Claptrap's New Robot Revolution, which illustrates our enthusiasm for creating highly entertaining content that enhances a franchise. In addition to serving as the perfect bookend to the original game, what gamer doesn't love a kung-fu-wielding Ninja Assassin Claptrap with nunchuck skills?" The fourth Borderlands DLC follows up on previously released Borderlands downloadable content The Zombie Island of Dr. Ned, Mad Moxxi's Underdome Riot and The Secret Armory of General Knoxx. Claptrap's New Robot Revolution will be released on the PSN, Windows PC and Xbox LIVE this September for US$9.99 or 800 Microsoft Points.